I used to be one of those farmers that blamed the weather for our lack of grass in the summer. Where I live in Northwest Oregon our summers are always dry. As in no expected rain from July through September and sometimes into October. Similar to a Mediterranean climate with moist, mild winters and dry summers due to our proximity to the Pacific Ocean. 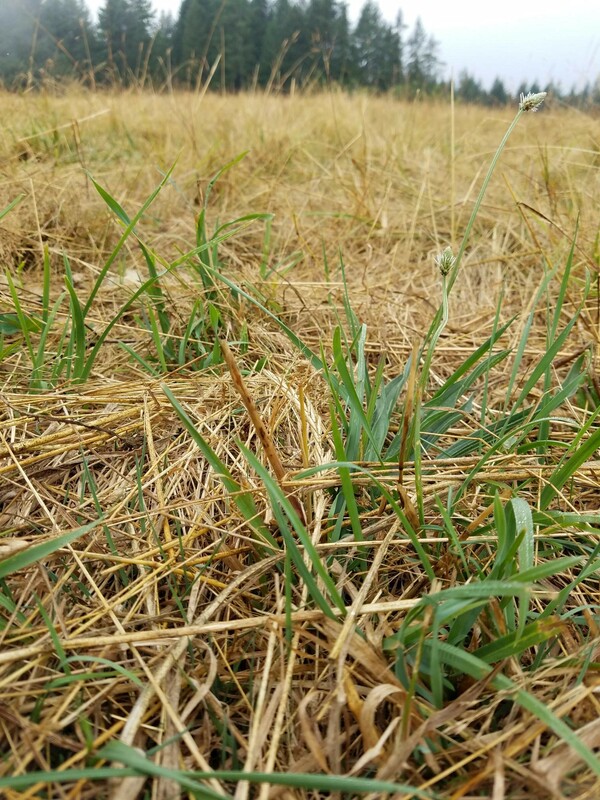 When we continuous grazed, or even thought we were practicing “rotational” grazing by shutting the cows out of one pasture, and letting them have at a different one, we could expect little to no grass left by the time haying season rolled around in July. Every local farmer, including us was waiting with bated breath for those fields reserved for hay to get cut and baled so we could let the cows in to “graze” due to lack of grass in the pastures. Ugh, mistake after mistake, and like interest, each grazing miscalculation compounds daily. But we didn’t know any better. It was just the way it was. You don’t know what you don’t know. When all your neighbors are out of grass too, you just blame the weather, and never think to look in the mirror. One day I saw a little ad in the back of the Oregon Farmer-Stockman magazine, the localish farm magazine that had been delivered to our mailbox as long as I could remember. That ad was for The Stockman Grass Farmer promising a new look at grass. I bit, even though I am not one much for responding to ads in the back of magazines. Well, I have to say that was a life changing event subscribing to that little publication. It opened up a whole new world of ideas, with terms and names I had never heard of before: keyline, MiG, Voisin, stockpiling, stocking rate, Albrecht, portable fence, Savory, campsite, and energizers, and the list goes on. Gah! I though my head would explode! It was mind-boggling to say the least, to me of permanent fence upbringing. There was a whole world out there of grass management just waiting for eager stewards to tap into it. Right at my feet. Right on the very same soil, and with the very same grass and ruminants I had been looking at all along. That was decades ago, and now I feel comfortable with our grazing management to somewhat weather the weather. I can “see” the soil underneath the grass by looking at the plants above, and I know what to expect even during year like this one. This year what is killing everyone pasture-wise isn’t so much the dry summer that is normal for our area, but it was the unusually dry spring. Rain is par for the course during spring in Western Oregon. Not this year, unfortunately. We have not had any measurable rain since June 25th so I thought I should share some tips that have helped us towards drought proofing our farm through managed grazing. We are not out of grass (yet) because of grazing management decisions we have made. Initially it was hard for me to grasp the severity of the effects of grazing decisions made a year or even months before. But baby steps add up, and you can make changes even now that will help in the future, even if the rain predictions don’t come true. First off, don’t beat yourself up about the condition of your pastures. Many of my readers are new to farming and farming with livestock. Maybe you bought a worn out piece of land, or maybe you just are faced with too much grass and not enough animals (understocking) or too many animals (overstocking). We have crappy pastures too on our farm, they all have improved under managed grazing, but the poor parts are improving at a slower rate. You can only build soil so fast. I never really thought about how soil was built up, or how pastures could be improved. If you ask the extension agent or the local farmers, it’s always, plow, seed, fertilize. Lather, rinse, repeat. Sure that works for a time, and you can’t blame them, that is what they have been taught, and most importantly what they believe needs to be done. And it does work, especially if you want a monocrop like alfalfa, orchard grass or some type of grain crop. But it is expensive and out of the reach of most homestead/farmsteads because of the expense of the specialized equipment. Even if you hire someone to custom plow, and prepare your newly minted pasture it’s expensive and it’s hard to get someone to work up small pieces. Truly, we get out of custom hay jobs by saying they are too small. Because they are. Add in who knows what’s lurking out there in the blackberry thicket and underbrush just waiting to devour the custom guy’s equipment, or tires. Breakdowns are expensive and nice clean fields are sought after by everyone. Sometimes you find the junk the hard way. So unless you’re real flush, have a lot of equipment or friends that do, put the idea that a new seeding is the end all of your pasture woes, new seeding also means at least a year out of production too except the chore of babying that new stand of grass. Besides, if you up the fertility of your pastures you will find that the seed bank lurking there is just waiting for the right conditions. Scroll back to the first photo, that field has not been plowed up or seeded since the 1930’s, as you can see there is no shortage of forbs and grasses in each bite the cows graze. Just mismanagement with continuous grazing, and then management with intensive grazing. When I started rotational grazing I thought all you had to do was contain the cows in a small area and let them eat the grass down and cover the entire paddock with manure. But a funny thing happened on the way to my many epiphanies. Manure wasn’t the answer. Sure it helps, and we did good by not letting the cows shade up all the time in the woods, or anytime they could find shade. We needed manure in the pastures, not in the woods or under all the trees in the fence rows. That is called translocation. But lo and behold, where we let the cows eat the grass short in one day it didn’t come back very well at all, even with a good covering of manure on the entire paddock. And that area was affected the next year too from that bad treatment. We didn’t know it was bad treatment at the time. What we learned from the trees and translocating the fertility from the cows back ends, was that carbon is the soil builder, and the manure and urine from livestock is just a small part of the recipe for soil building. Carbon? Yes, trees supply leaves or needles and woody material, and we all know what the ground under trees looks like. If not disturbed the layer of duff is amazing and all built with carbon from the trees and the microbes and other critters that inhabit the soil. So what does that have to do with your worn out pasture? Plenty. You are growing your carbon/fertilizer right there, unless you are letting your stock graze it down to the carpet stage. 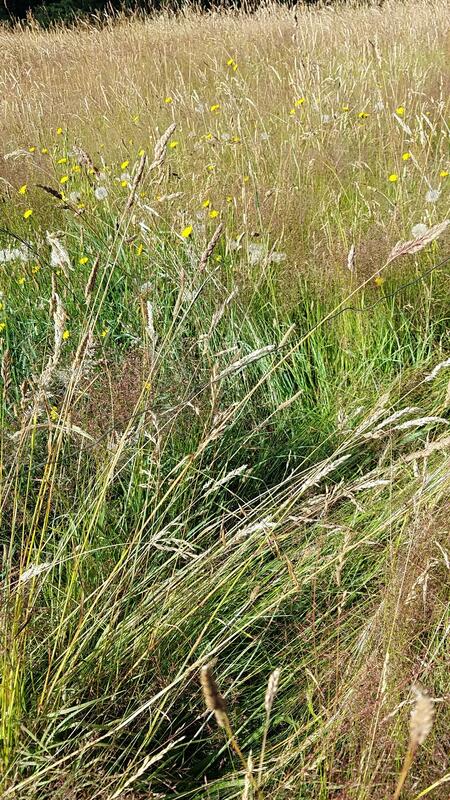 You have the choice of sizing your paddocks small enough to trample the pasture in one day, or if you’re not comfortable with that look, clipping or mowing and leaving the clippings lay. I know what you’re thinking looking at this photo, I am wasting grass, but that’s not true, I am fertilizing my grass. Carbon is grass food. Period. Not 16-16-16. Grass or weeds or anything you have growing there will be good fertilizer for future forage. It’s a total paradigm shift I know to get out of the grass wasting, lawn culture mentality. But you too will survive the paradigm shift if you get over the idea that uneaten grass is wasted, and that you can cure your pasture woes by planting seed in a worn out pasture like you plant broccoli and tomatoes in the garden. Sure that seed will sprout and grow, but by about year three if you don’t change your management of said pasture those plants will disappear and you’ll be right back where you were with the Sweet Vernal Grass, Queen Anne’s Lace and Oxeye Daisy poverty plants in your pasture. They may look quaint to some, but I cringe when I see them. 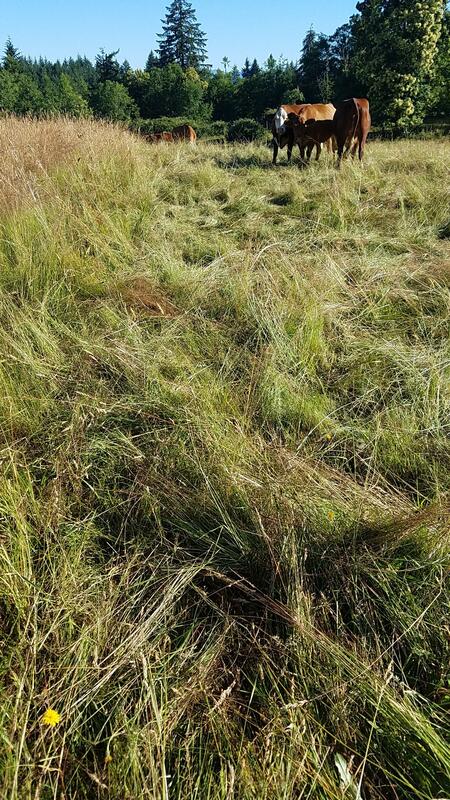 I know that I am letting my pasture slip backwards in succession to less desirable grazing plants. 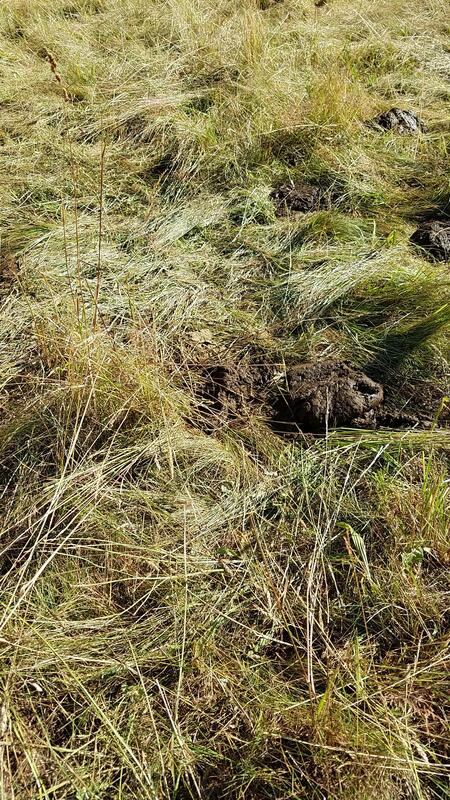 1) Quit making hay unless you have a solid compost or fertilizing system in place. If you make hay you are basically mining your soil of nutrients. 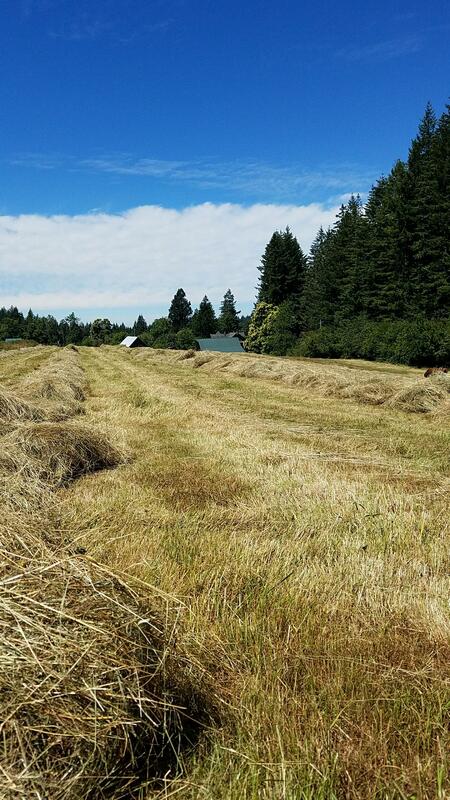 Besides that, hay is cut the same time every year, and pretty soon unless you swap hay fields you are stopping succession at the group of plants that tolerate the annual cutting in July or whenever you do your hay. It’s actually better to buy hay, and bring in fertility from some other farm than to mine your soil, unless you have a solid composting/carbon fertilizing system in place. I know you’re wondering why we make hay then? We make hay on paddocks that have gotten ahead of the cows, basically we are skipping a rotation and making hay instead. If we do that, we fertilize those paddocks that we made hay on with our composted deep bedding to make up for taking away the hay. Barring making hay, if you absolutely don’t need it, clip instead and leave it lay. Call it mulching your pasture if that makes you feel better, but it is free fertilizer except for the labor and fuel to do the mowing. 2) Get some grazing animals. 3) Move them. Frequently. Invest a little time and a small amount of money in some temporary electric fencing so you can confine your graziers to small paddocks. Management-intensive grazing (MiG) is your friend and it’s called intensive for a reason. You don’t have to move them four times a day (unless you want to) but you should move them once a day at least. Besides the benefits to the sward, you are moving away from the parasites. Short grass and slow rotations (3 days) invite parasite problems. 4) Get creative and think outside the box. Your grazing animals are tools, use them to enhance your “landscape.” It’s a chicken and egg thing really. Do you grow better forage so your animals are healthy, or do you try to keep your animals healthy by spending money on supplements to make up for shortfalls in fertility. Place mineral boxes and watering areas in weak pasture areas so you are getting the benefit of animal impact and disturbance in those spots. Of course this doesn’t apply if you’re not moving your animals. 5) Rest your pastures. Allowing most grazers more than one day on any kind of pasture is the quickest way to no grass when you need resilience the most. What happens to your pasture when you violate the rule of the Second Bite is that each bite on the plant after the initial first day weakens the plant by essentially taking away the plant’s ability to photosynthesize by removing the leaves. If that happens enough you can change the dynamics of a pasture to only plants that will tolerate close grazing, which in turn means you lose diversity in your forages, and that starts the downward spiral where you start needing more and more minerals of different kinds to support your stock. 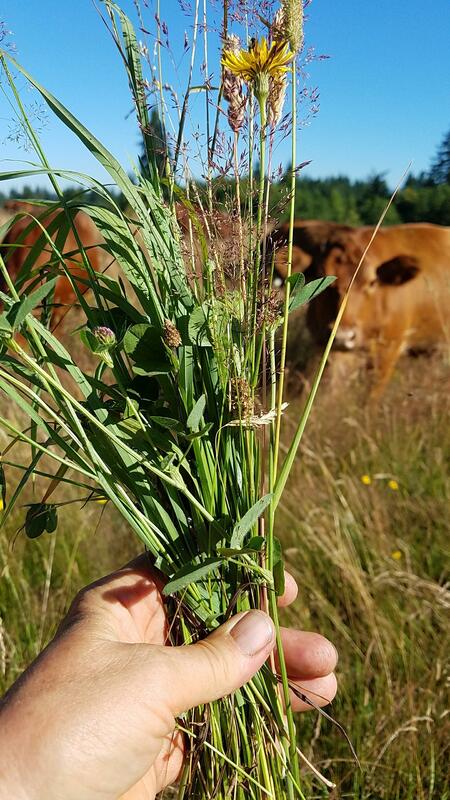 You can also set your pasture plants back by grazing too soon in the spring, or by returning in the rotation before the plants have fully recovered. There is no set recipe that applies to all farms. My favorite analogy from the book Holistic Management uses the burros of Grand Canyon as the cast of characters, it’s in the numbers, and they are not interchangeable in this scenario. Do you think 1 burro going down the trail 365 days to the canyon bottom is the same as 365 burros going down the trail on 1 day? When you read that, you are inclined to think the first scenario is better, 1 burro can do no harm, right? We’ve all been taught herds are bad, less will do more. Well actually that 1 burro in that brittle environment is wearing out the trail and not allowing any plants to recover due to the long rest period required. However, the 365 burros going down that trail once will of course dislodge some terrain, but that is disturbance that may turn up new seeds, that many burros will most likely distribute a good amount of manure and urine and then they will be gone, leaving the land different but better than they found it. Rest, rest, rest, the most important part of rotational grazing. 6) Lastly, I know this is too late to be posting about this now, since July and August is when pastures tend to go south in this area anyway. But if that is the case, all is not lost. It’s better to feed hay now to shepherd the grass, than it is to just give up and let the animals still have a whack at the what little remains. Ideally still moving and feeding, utilizing one day paddocks is the best, second best is landscaping and feeding. By landscaping I mean put the stock in a brushy area you want cleaned and feed them there to distribute seed via the hay. Third best would be just to pick a sacrifice area and feed there until grass regrows and is rested. What you are doing right now affects the pasture for next year. I was about to hit publish and saw a gigantic dust devil whirl by the window…six more weeks of dry weather. I’m not holding my breath that the PNW will get much rain despite the forecast. I really enjoy your Blogs! You are a great writer! Your Mom would be proud! Hi Helen! Thank you! Did you get my note on Facebook? I just re-read Where Eagles Nest, perfect summer reading. When I go to town, I try to imagine Cabbage Hill being wild and untamed! Incidentally I named my daughter after Lydia Taylor. Good reading. As little as I know about rotational grazing, even I can see the damage being done by the grazing practices here. One neighbors pasture is so grazed down that I have repeatedly seen cows laying down reaching their neck under the bottom fence wire in desperate effort to reach a sprig of grass outside the fence. He finally let them access a couple of old musty round bales that had been sitting since last winter and they devoured them. This is why you are one of my very favorite teachers- your writing and storytelling. I truly hope that someday I will be holding your book in my hands, because I know that it would be one of my favorite kinds of books- one that gets referenced with great frequency from my library. Here’s to you, MoH 🍻 and 😘 and ♥️. Another excellent post on grazing practices. I will be sharing this around. With our longer dry season, I find I’m still having to irrigate. We had our last rain in May and only 1 1/2 inches for the month, while it’s unlikely we’ll see a decent fall storm before the end of October. Two of the pastures are fairly level, but the third is semi-vertical in most spots; it’s the one where I have the biggest struggles, but also the best irrigation system (we flood irrigate). I’m also fighting weeds – star thistle is pretty easy to manage if I can water it, but nightshade and pennyroyal just grow faster. Any bright ideas on those two, Nita? I wish irrigating was an option here, but it’s not so we have to make do. Interesting weeds, we don’t have those, our biggest weed problem is Himalayan blackberries, so invasive. They are my biggest regret with rotational grazing, when the cows free-ranged they kept them at bay. Darn, I hoped you had a solution. Critters won’t eat either one of these – which is certainly a good thing with the nightshade, given its solanum content – which makes them tough to deal with. Guess I’ll keep experimenting; don’t want to use chemicals. Thanks, anyway, and it’s nice to have you back with the regular posts. We are in drought & in midst of a long heatwave here in middle England. It’s been many weeks (months) since we’ve had any decent rain on the fields, the wheat harvest was super early here on the farm…. & our met office talk of warmer than average temperatures until Oct. Gulp..
Ha Ha! That would be a whole library!! So many epiphanies! Not related to grazing, but it is the time of year when those of us in the mid-south are finishing seeding our fall brassica transplants – you always have such lovely brassicas …. My issue is with germination. I can start tomatoes well and my lettuce gets terrific germination even this time of year (I just start it under a shade tree). I tried the same thing with my broccoli and cauliflower, but every year I get poor (20% at best) germination. This is with multiple lots of seeds, almost all of which were bought fresh that year from Johnnys, so I think it’s me, not the seed. Any thoughts on the needs of sprouting brassicas? Ahavah, that sounds odd to me, brassicas usually jump out of the soil at least in my experience. I do mine in cells, for brassicas we just use the 6 pack, 48 to tray size (because that is what we have) and they can stay in that cell until transplanting, about 30 days or so. I usually seed two seeds to each cell and thin to one once the true leaves appear. The only thing I can think of is too deep? Too big of pot with too many seeds? Too much water? You should see emergence in about 4 – 5 days, or maybe 7 or 8 with some of the fussier cauliflower hybrids. We are not careful with seeding, just fill the cells with potting soil, level off, tamp down for a firm seed bed, add seeds, cover, water and wait a few days. I hope that helps. Yeah, based on your description of how you plant, I think what I’ve been doing wrong is leaving the mix too fluffy and pressing after planting, not before – I tamp down a bit when I’m filling the flats, but then I put the seed on top, and scrape and press a bit of soil over with my finger, instead of sprinkling – which obviously worked for bigger, flatter seeds like tomato and lettuce, but I think I was probably just making the tiny round broccoli seeds fall way down there – which is why I just had a bunch of little stragglers come up about day 12 or 14. So thanks, I have hope again :). I always like hearing how you do things because you usually have a really nice work/result ratio. I enjoy your instagram. Don’t do instagram. I need to learn how to use instagram. Loved todays pic of a beef tongue (Dec. 9th.) I am 77 yrs. old. At age 12 I can remember my mother boiling the tongue. Peeling off the skin and then taking a pyrex container with a lid and putting the whole tongue in to marinate. Chopped parsley, minced garlic cloves, wine vinegar and olive oil. Salt and pepper, of course. Not to sure how many days she did this. Think it was a week. It would then get sliced and make the most tasty lunch meat. Yum. Have a great Christmas. Bev, that sounds delicious! We always ate it like it was roast, served with horseradish and all the fixin’s. It was always a treat, people really don’t know what they are missing sometimes.